Tower Insurance is defending big premium hikes for some houses in quake-prone areas.Tower Insurance is defending big premium hikes for some houses in quake-prone areas. Wellington woman Ursula Egan was stunned to be told last week the annual premium on her Karori home would be going up by about $5000. Tower Insurance had warned in April that customers in earthquake-prone areas would have to pay more. “I was expecting a bit of an increase because we are in a risk area and building costs have gone up – but I certainly wasn’t expecting a 300 percent increase,” she said. Ms Egan said online quotes with Tower for neighbouring properties showed much lower premiums. Tower chief executive Richard Harding said around 2000 people – or less than 1 percent of customers – would be getting an increase of more than $2000 while 97 percent would have a small decrease in premiums of $50-$100. People in low-risk areas had previously been subsidising those living in high-risk areas, he said. Wellington is a particular risk, and accounted for 60-70 percent of the $3 billion insurance loss of the Kaikōura earthquake – hundreds of kilometres away. Tower is using an international risk modelling company, RMS, which provides “high definition” risk information to insurers and reinsurers based on each address. There were multiple factors that meant premiums between neighbouring properties could vary. “It’ll be about differences in construction standard as well as differences in size, whether it’s one or two storey, is a wood building or a brick building,” Mr Harding said. Or a house might be very close to, or on, a significant part of the fault line that runs through Wellington. 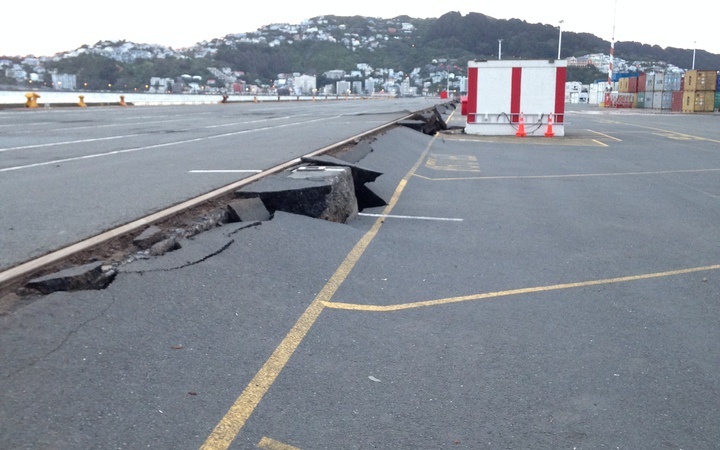 “The country’s known for years that Wellington is a significantly high risk. What we’re doing now is applying a specific price to that so that people can understand what that risk looks like. “We’re very happy to insure people, we just want people to pay the right price for risk. Insurance council chief executive Tim Grafton said Tower was clearly signalling it did not want exposure to earthquake risk in Wellington. Other insurers were looking more closely at the capital since the 2016 Kaikōura earthquake, and prices had shifted, though not to the same extent, Mr Grafton told Nine to Noon. Not every company would go to the same risk-rated model, but would continue to share the risk across all customers around the country. Further ahead, on the increasing risk of flooding in climate changes, companies were likely to move to a detailed response. Mr Harding said Tower was applying only earthquake-risk pricing so far but intended to include other hazards. “It’ll move through from earthquake – which is the primary and major part of the risk that New Zealand’s exposed to – through flood and storm and other activities.